Justice Theresa Obot of the Akwa Ibom State High Court, said that the state government had set up a family court to tackle the increasing cases of child witchcraft in the state. 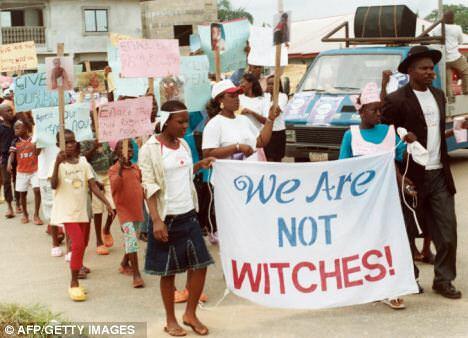 Obot told the News Agency of Nigeria (NAN) on Sunday in Abuja that the court was created after a commission of enquiry set up to investigate allegations of child witchcraft concluded its assignment. According to her, the court is set up to prosecute cases and allegations of child witchcraft in the state. The News Agency of Nigeria (NAN) recalls that the Commission of Enquiry was set up in Nov. 2010, following the rampant stigmatisation of children in the state for alleged witchcraft. According to her, priority attention is being given to cases of child witchcraft in the state. “We in the judiciary lay so much emphasis on the child witchcraft stigmatisation and the courts now make it a point of duty to address those issues. “So when such cases come in, we try not to limit ourselves to only the punishment of alleged child witch, but also to provide counselling. “Because in a family court, when a child and the parents have problems, we offer reconciliation,’’ Obot said. She said, “anybody who says a child is a witch or wizard, he or she will be prosecuted, after which they will also receive counselling. Obot said the courts also recommend counselling for parents who stigmatised their children after they had been punished. Obot commended the state government for its campaign to stop the stigmatisation of children over alleged witchcraft.